September marks the end of the big summer blockbusters, and the beginning of "Oscar Season", where a lot of the year's artistic and Oscar-bait films come out. 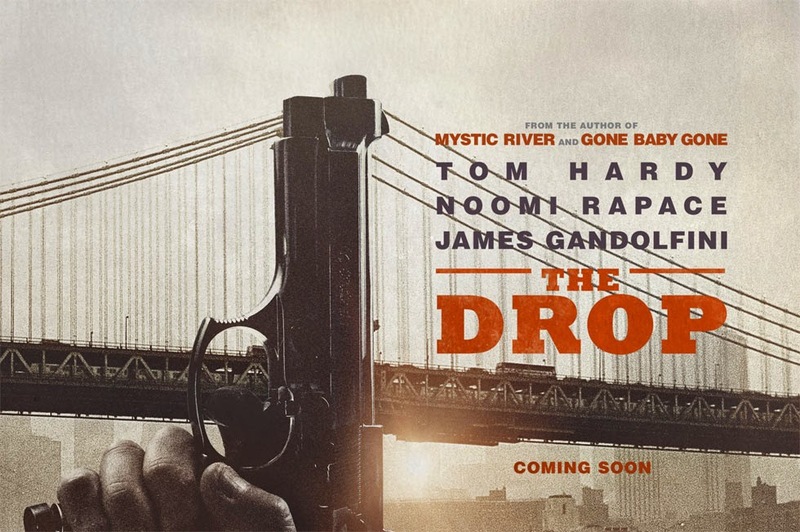 I had the privilege to start this year's Oscar Season with The Drop. Up until a week before the film's release, I hadn't even heard of it before. Then I saw the trailer. A movie about the mob. Tom Hardy. James Gandolfini's last film. Noomi Rapace. What more incentive do you need? The movie focuses on "Cousin Marv's Bar", a Brooklyn bar run by cousins Bob (Hardy) and Marv (Gandolfini). But the bar, as with many Brooklyn bars, is really owned by the mob. Every so often, the bar will become "the drop-off", where people drop off their "dues" to the mob. The mob comes by the next day to pick it up. One day, the bar is robbed by a couple of masked thugs and sets of a chain of events leading to an electric ending. While Tom Hardy is the film's lead, James Gandolfini was the stand-out performance for me. It was hard to watch, knowing it was his last film, but he gave a fantastic performance, as a desperate man near the end of his days. 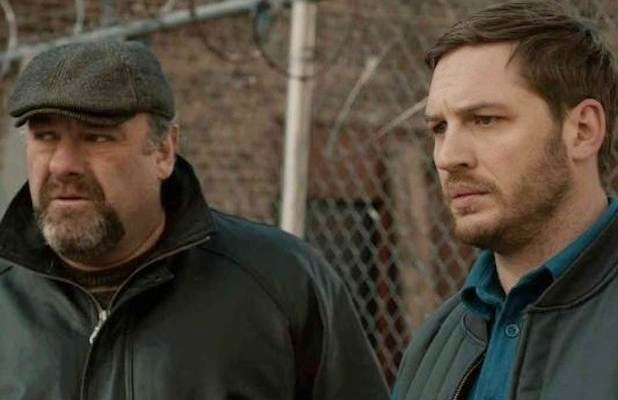 Hardy gives a great performance as well, involving a lot more subtlety than Gandolfini. With Hardy, we see a lot more instances of raw emotion in his eyes, whereas a lot of Gandolfini's acting comes from his voice, body and face. Rapace also does a good job playing an emotionally unstable woman, but isn't featured as heavily as the others. The movie had a good pace. Even though it was slow, it was a great lead up to a great end. A lot of criticism surrounding the trailer was how Hardy's accent would work out. I though his Brooklyn accent was just fine and never took me out of the movie. Despite the movie's poster, there isn't a lot of violence and uses it at certain moments to add to the story, not just for the sake of using it. There were a lot of great cinematographic shots in the movie. There's a shot at the end of the trailer with money in a sink and blood dripping down onto it, mixing with the tap water. The opening shot is also great, focusing on a puddle of water where we see the reflection of the Brooklyn bridge and Tom Hardy walking down the street. The camera then pans up and follows Hardy. There was also a great subplot (which was featured more in the movie than the actual plot of the drop-off) surrounding Hardy's discovery of a dog and how he goes about caring for the dog. At first, it seems a bit out of place, but as the movie progresses and Hardy's character develops more, it fits right in. Overall, The Drop is a good, solid film. It's entertaining, intriguing, with great characters, great performances and good pacing. It probably won't get a lot of Oscar attention, but it is without a doubt an enjoyable movie. Weekly Box Office Round-Up: Equalizer = Success!